Solo show at Bosse and Baum galley. A series of drawings made by the artist in her studio, and which were commissioned by Wysing Arts Centre during her residency in 2016, with funding from Arts Council England. 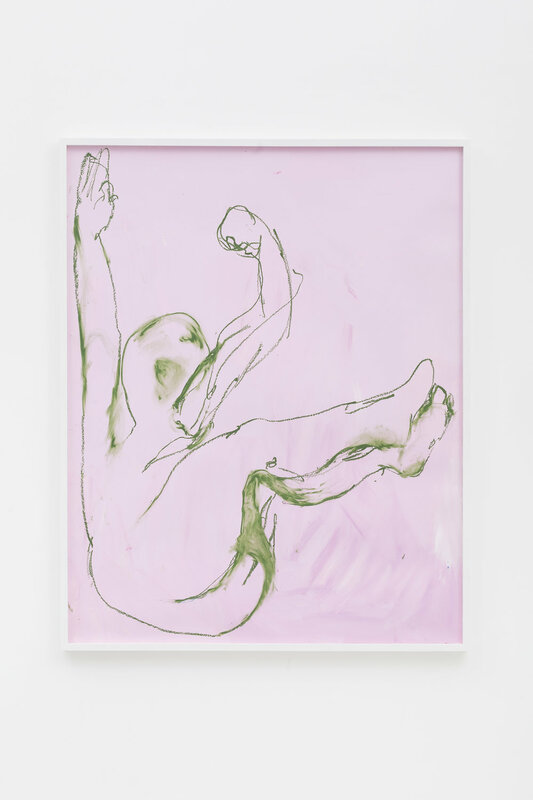 Performed on a horizontal surface, Peake uses the floor as a medium of support and resistance for her body to act out an expression of falling into an immersive sensorial experience, backwards into the horizontal. The floor and the body become a site for falling in love with the sensation of movement through sensing skin, flesh, bone. Simultaneously drawing an outline of her body/movement. Peake wants to contemplate ones own body as a complete territory of pleasure to sink into. 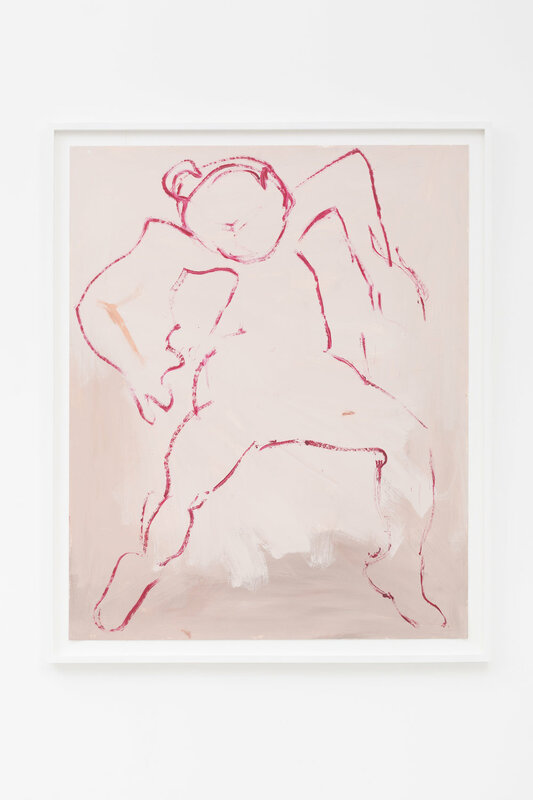 Through these movement drawings an ensemble of characters/bodies are collected and come to re-perform once hung on the wall, the vertical; falling backwards becomes falling into rising up the wall. 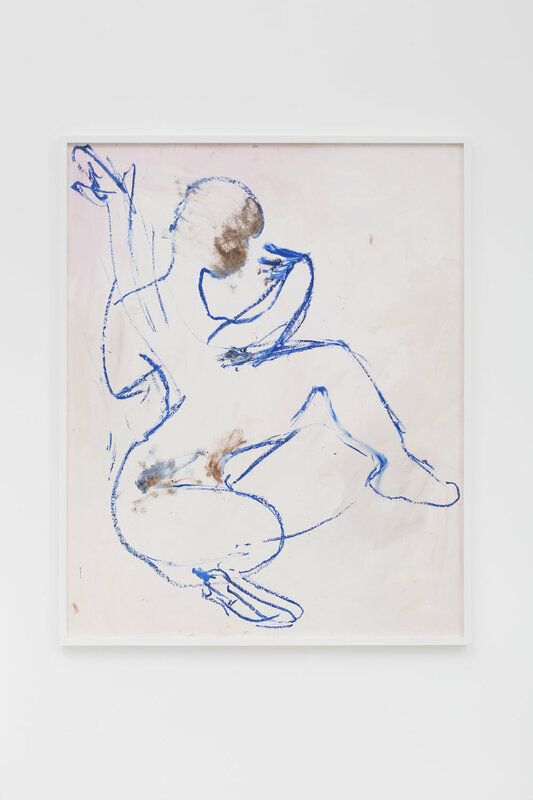 Read a conversation between Florence Peake & Matthew McLean on occasion of her exhibition WE perform: I am in love with my body at Bosse & Baum, June – September 2017 here.